I've had a clear out. I know, I know. What am I thinking? Well, I'm thinking I have too many games. Not including expansions, individual decks of cards, or multiples of existing games, I have (had!) about 150 games spread across three book shelves, and a large part of my study floor. I decided enough was enough (when actually enough is never really enough, if I'm being honest). I have a lot of games I don't enjoy, and a lot of games I am never going to play again. I even have some games I have never, ever played and probably never will. And at some point, you have to draw a line in the sand. So I got rid of some. I got rid of quite a few actually. First out of the door was Platoon. 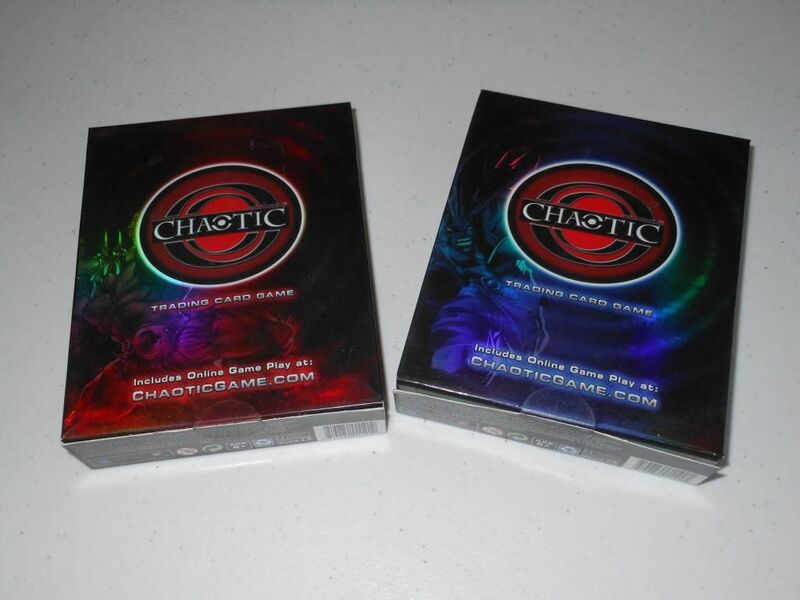 I purchased this game on eBay in 2012, and I was pretty excited about it. I made the purchase at a time when I was trying to expand my collection to include some different styles of games. The only other chit-based war game I have is the rather lovely Valley of the Four Winds (which I haven't reviewed yet), so I thought this was a niche I needed to fill. What better way to fill it than with a game based on a film I love? 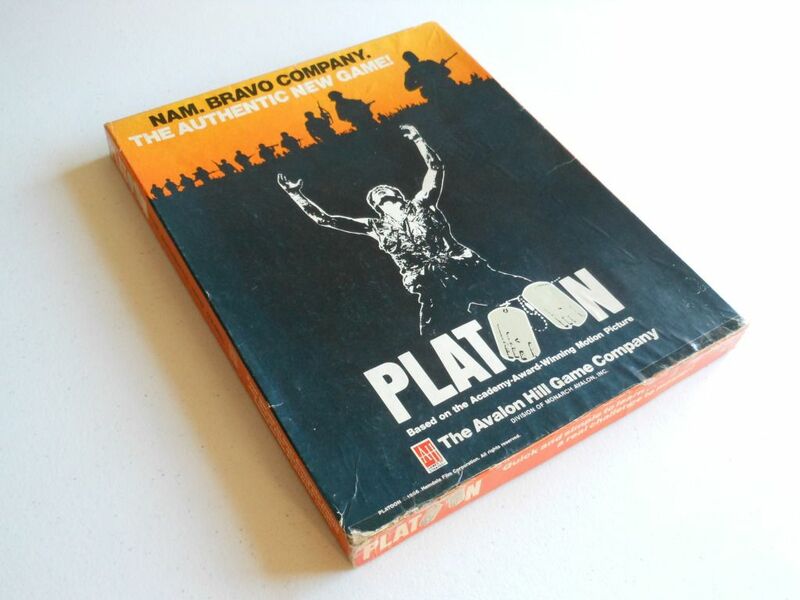 Platoon was released in 1986, and allows you to recreate four of the fire fights in the film. It looks great, it really does. You get a lovely mounted board (in two pieces), and lots of chits to represent your characters, many of which are those from the movie. While in many war games a chit will represent a large number of troops, in Platoon a chit is just a single person, and that lends the game a nice, claustrophobic, skirmish feel, which is perfectly suited to the theme of sweaty, brutal, jungle fighting. 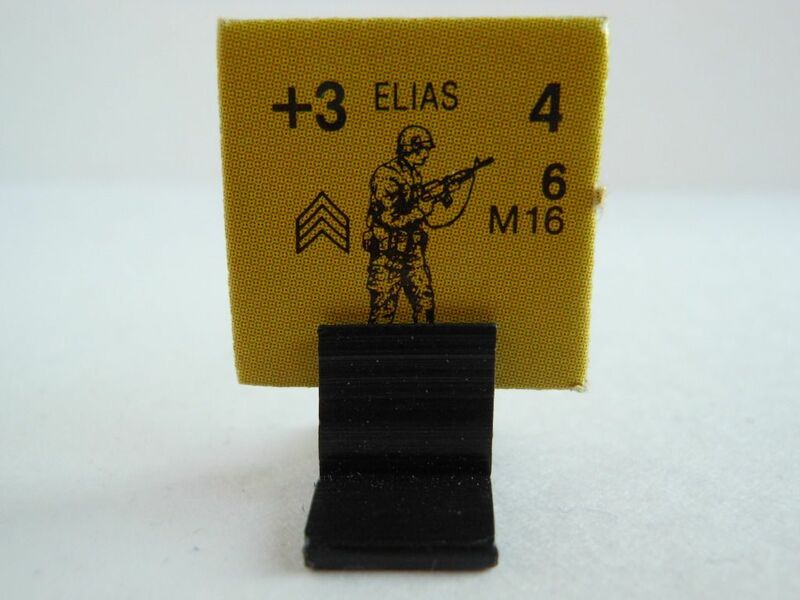 What I liked even more about the chits is that they are designed to stand up on little plastic stands, which means (a) they are easier to move around, and (b) your opponent can't see what each chit represents because they can't see what's on the side facing you. This allows for an exciting "fog of war" element, enabling you to use "fake soldiers" to lure out troops and create ambushes. But, there's a reason I don't have war games in my collection. I don't really like war games. I don't really ever feel the urge to play them. Furthermore, I normally game with at least two other people, so two-player games just don't get as much of a look in these days. If I am going to play a two-player game, I will usually be playing against my wife, who has about as much desire to play a game about Vietnam as she has desire to listen to one of my renditions of Lady in Red while pushing a trolley around Tesco. 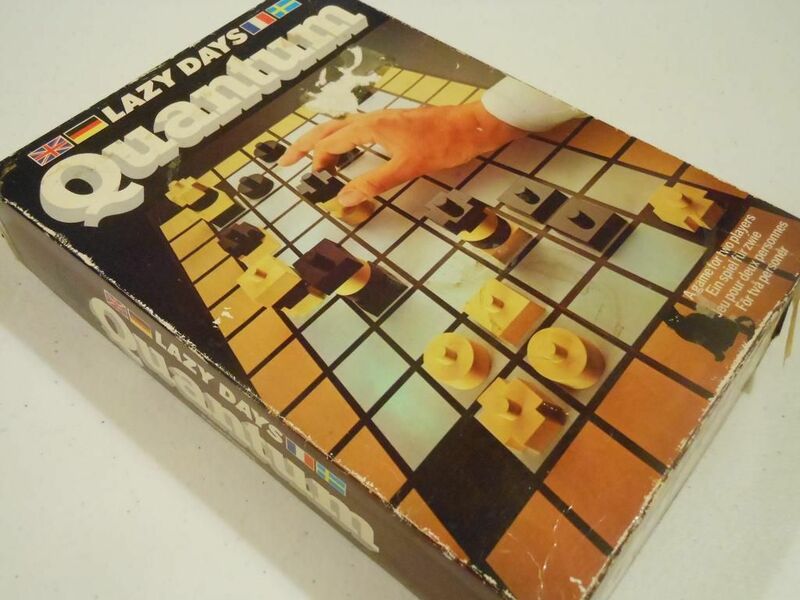 Of course, there is a very real risk that I have just got rid of a really good game; but as I would probably never get to play it, I might as well sell it to someone who will get more enjoyment out of it. Close on the heels of Platoon was Incursion. 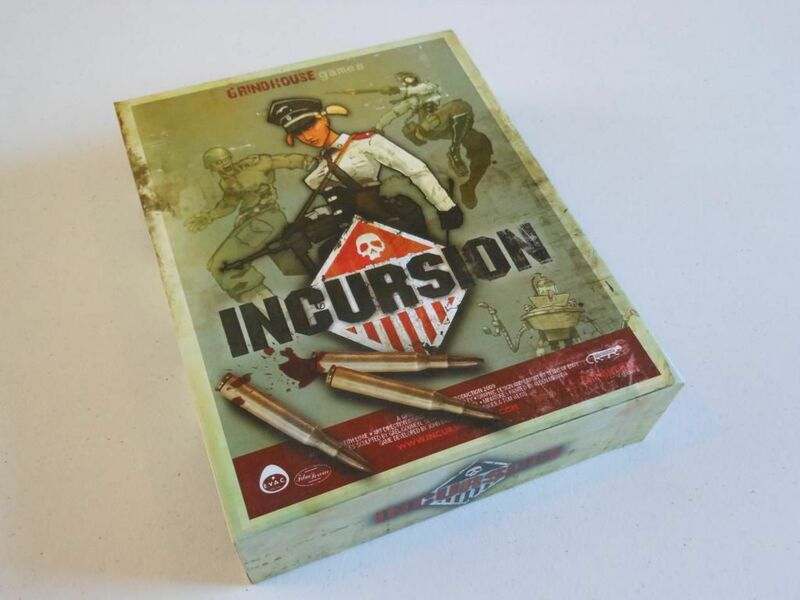 I reviewed Incursion only a few days ago, and frankly, I wasn't impressed. I felt that it took the muscular, beating heart of Space Hulk, and then added a load of extra mechanisms that just didn't work: Card play that lacked any strategy, command point manipulation that created ridiculous situations, and overwatch rules that were horrifically overpowered in every way you care to imagine. I might have been tempted to keep the game if I didn't have Space Hulk, but I do, so I didn't. So there. Incursion - a beautiful turd of a game. Another game that I recently reviewed before winging out the window was Conquest. This is actually an exceptionally good game. I mean a really good game. I mean a really clever, elegant, well thought out, beautifully simple, deeply strategic game. By which, I mean, a game that just wasn't fun. If you could dedicate the time to getting good at the game, then I think you could have a lot of fun with it. But in my limited experience, I found it too difficult to get my head around. Another good two-player abstract game that I got rid of was Quantum. This might be surprising to anyone who read my review, because I was very positive about the game. However, I eventually realised the game just wasn't getting played. And it was so incredibly beige it was making my other games look drab. Quantum - remake it in better colours and I'll probably buy it again. Still, I wonder if getting rid of Quantum is something I will eventually come to regret, because... Well... It is a damned clever game. 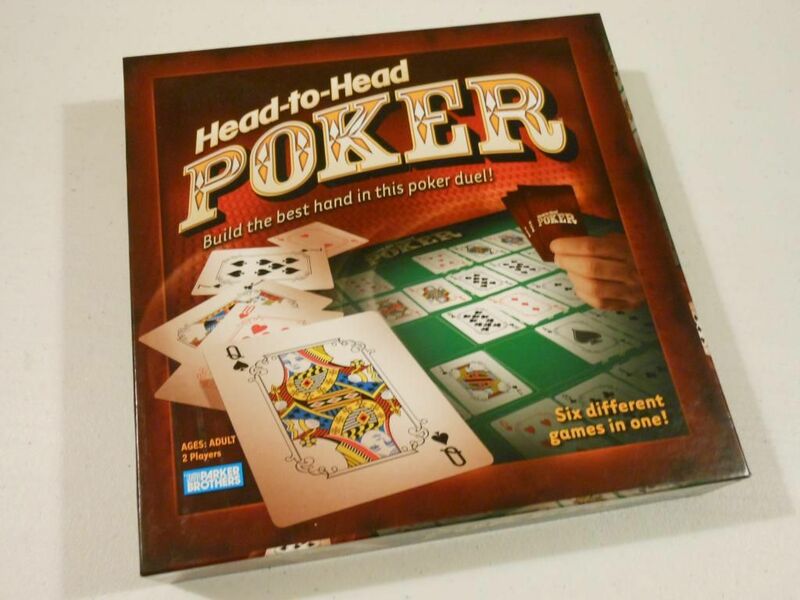 For very different reasons, I also got rid of Reiner Knizia's Head-to-Head Poker. This isn't a very good or interesting game at all. Furthermore, you can play it with just a deck of cards, so why have a big box taking up space on my games shelf? Speaking of games that aren't very good or interesting, I also got rid of Summonaria, Chaotic, and Huntik. I reviewed all three games in recent weeks, and I really have nothing more to say about them. Three bad games that were eating up space that an equal number of good games could be filling. Finally, I got rid of Trivial Pursuit, simply because I have no bloody clue why I had the game in my collection in the first place. I hate trivia games. So there we have it. My games collection has been thinned out (a bit). And it's going to get thinner still. I have at least three or four more games that I intend to get rid of (once I have reviewed them). The question is, what am I going to do with all this new space? Where did I put my credit card...?